On June 18, His Holiness Pope Francis released the long-awaited Encyclical on the Environment;Laudato Si’ On Care for our Common home. Missionary Oblates JPIC applauds the release of this encyclical. 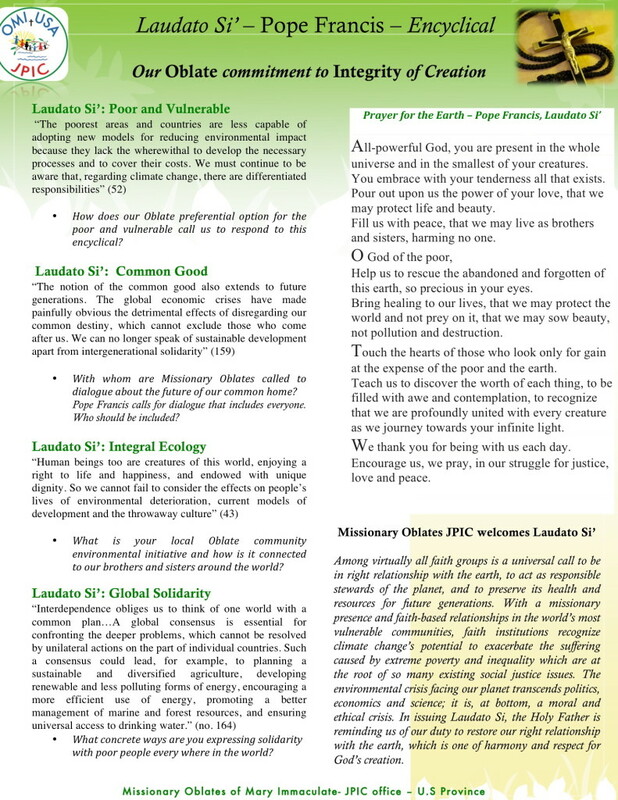 The Laudato Si is rooted in key themes of Catholic Social Teaching namely Poor and Vulnerable, Common Good, Integral Ecology and Global Solidarity.